Seriously, though, according to new research by the British Chiropractic Association, I’m far from alone. Seven out of 10 people in Britain have lived with recurring neck or back pain for more than a decade, and three out of 10 took time off work last year. More worrying still, two-fifths of people have done nothing to protect their backs. The chances are, then, that you know exactly what I’m on about when I talk about back twinges. In the last few weeks I’ve switched to Pilates from yoga as I have a rotator cuff problem that has been making yoga moves like downward facing dog just too painful. An unexpected side effect of the switch has been that my back has felt more flexible and stronger. 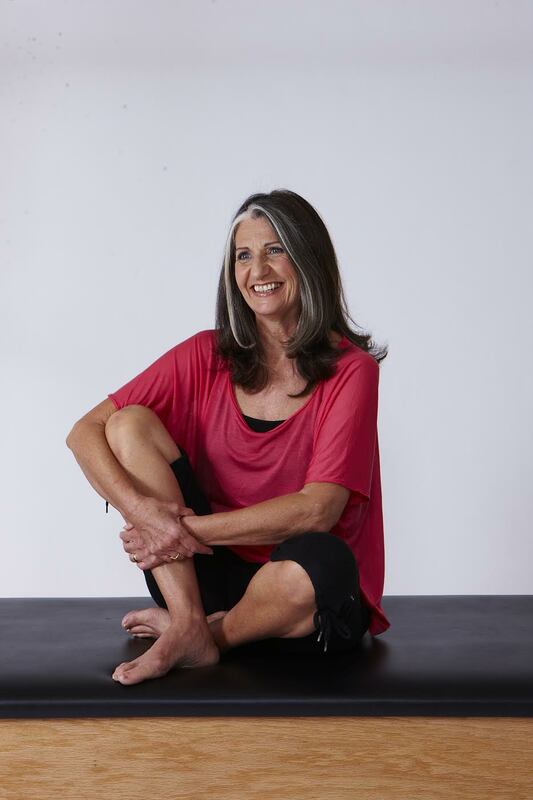 So who better to give us some advice on how to keep back pain at bay than the lovely Lynne Robinson, Queen of Pilates and all-round lovely person, who featured on this blog a few weeks ago HERE? Lynne knows her stuff – she has written a book called the Body Control Pilates Back Book. She also, I should add, has beautiful posture and moves incredibly gracefully (notably unlike me!) You really should take her advice. Here are Lynne’s five top tips for how to keep back pain at bay. Stand tall, sit tall, walk tall. Grandma was right! Just standing tall works the deep postural muscles, which hold you up against gravity. When you slouch, not only does it look awful (bulging stomach, round shoulders) but also it puts pressure on the spine and reduces the efficiency of your breathing and the ability of your core muscles to support the spine. Remember to lengthen up through the crown of your head and you’ll look taller and slimmer. Keep your spine mobile. An inflexible spine is really ageing. Exercises such as waist twists can be done seated or standing anywhere and it helps to ease out many unwanted kinks. It also works the muscles, which define your waist. Learn to breathe efficiently. Most of us breathe far too shallowly and miss out on all the wonderful benefits that more effective breathing brings: reduced stress; better posture; greater stamina to name a few. For a quick reminder of good breathing during the day, try sitting tall and place your hands on your ribs. As you breathe in focus on the back and sides of your ribs expanding. Breathe out completely, feel your ribcage closing but don’t lose your height, stay tall. Repeat a few times and feel yourself growing calmer, your mind clearer. Keep your core muscles ‘fit for purpose’. Your deep core muscles wrap around your trunk like a natural girdle, supporting your spine like a built-in corset. Sometimes through injury or poor conditioning they aren’t as efficient as they should be. Pilates exercises are perfect for ensuring they do their job properly. To locate your core muscles, sit tall, breathe in and as you breathe out gently engage your pelvic floor muscles and draw them up inside, you should feel your abdomen hollow. Hold this internal zip for a few seconds breathing wide as above. Now you’ve found them you can use them as, when and if you need to. Don’t be tempted to ‘hold’ them in all the time though, just engage them as required to help control your alignment and movements. When you exercise, do first what you should and then what you would. We all tend to choose the exercises we like but they might not be the best ones for us. I shall be following Lynne’s advice to the letter (especially as I cleaned the damned bath this morning so am on red alert for my back!) I’ve already done some waist twists as I’ve been typing this and am reminding myself not to slouch (don’t tell anyone, but I’m a terrible sloucher). If you have any great advice for caring for your back, I’d love to hear about it – pop a comment in the box below. And if you’d like to know more about Lynne Robinson and Body Control Pilates, check out her website, HERE. Keeping your core strong is essential for positive back health. Despite a serious back injury 20 years ago, I am still strong despite being in my 60's, so much so that I helped my son shift my heavy furniture when I recently moved flats. Keeping flexible is also essential, although my legs, hips and knees are not flexible due to the knock on effects of the back injury. However, I do stretching exercises daily plus I have been having Body Stress Release treatments for almost 2 years now to release all the underlying emotional issues. Our bodies hold on to all the emotions around injury and pain and it is this which keeps the pain going long after there is no physical reason for the pain to be there. I also use EFT on a daily basis. AND I have a saddle seat in my office which has been the most supportive seating I have ever had! You're so right about holding on to emotions - I know I hunch my shoulders when I'm anxious about things, and it can become a real habit.